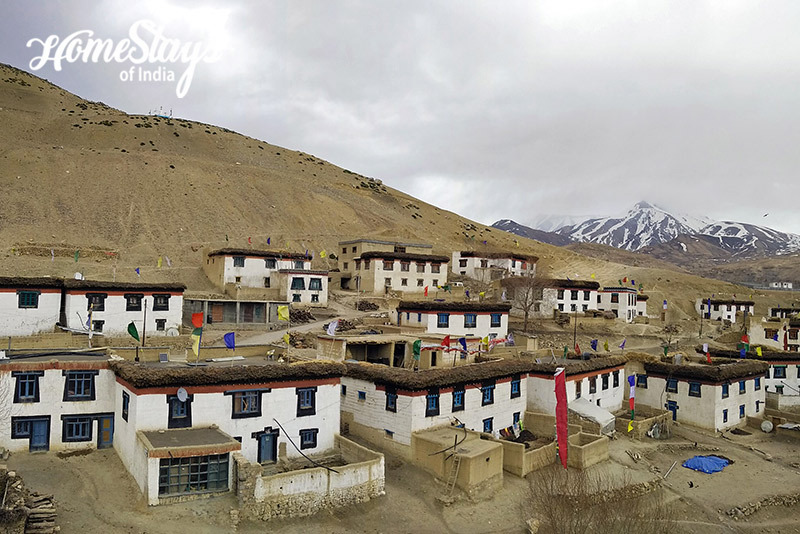 Chicham is a very remote and small hamlet in the Spiti Valley, located 5 km from Kibber and 27 km north of Kaza. 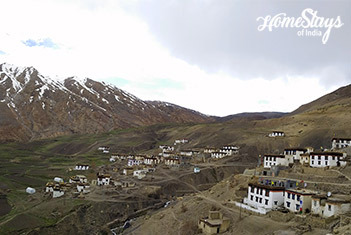 It is so remote that an adventurous cable car above 110m gorge was the only source to get to the village. Now there is a bridge and one can drive till the village. This traditional Spitian style (mud house) was built by Chhlim Zotpa. It provides spectacular views, a peaceful and unique escape, and authentic local food and drinks. 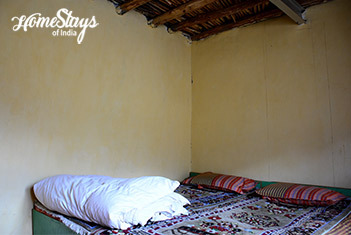 There are total 3 rooms provided to guests. Food is served by the local kitchen. There is a traditional low floor setting dining hall to eat. 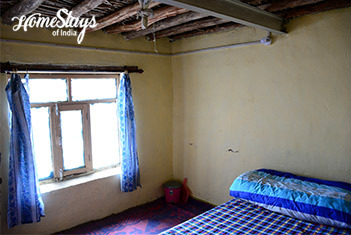 Like most of traditional Spitian home stays it has only common toilets. Chhulim Zotpa works with veterinary in Kaza so his wife Chhering Dolma, a very simple Buddhist woman takes care of the home. Dolma is the in charge of the kitchen. 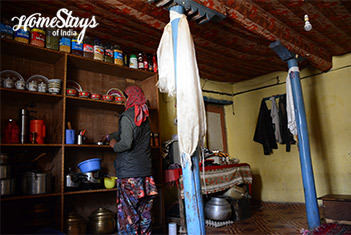 She happily serves Parantha with curd or tea, Thentuk (flat noodles mixed with vegetables), local bread with butter in breakfast. Potato Momos, Dal Rice with Roti and mix veg is mostly liked in dinner. You may ask for local beer also.